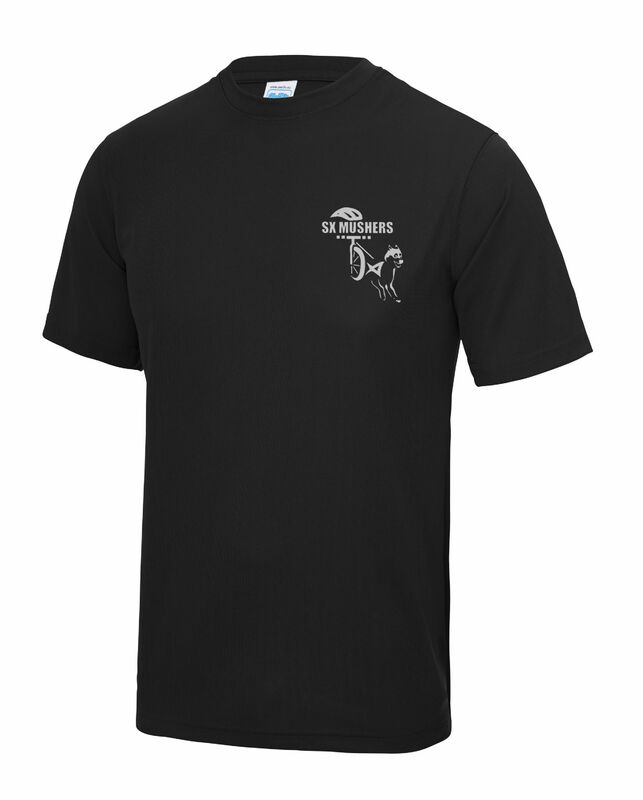 SX Mushers t-shirt. There is a small logo on the front with a larger version on the back. 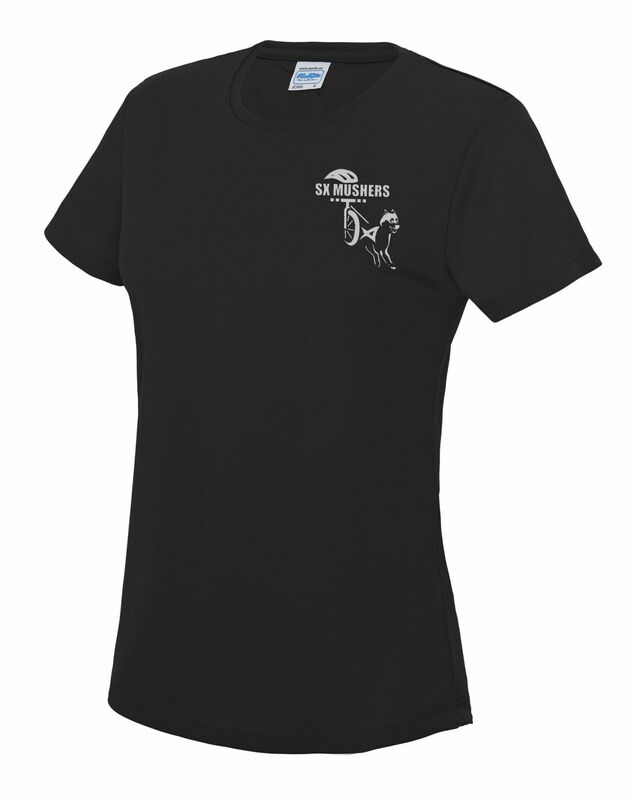 100% polyester, breathable, wickable t-shirt.